CALL (214) 372-9300 for a FREE QUOTE! Have a chipped or cracked auto glass? You have come to the right place. 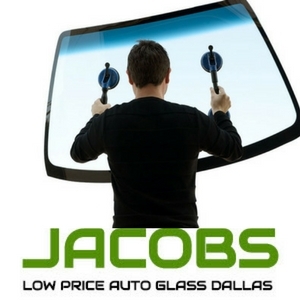 Jacobs Low Price Auto Glass has been serving the Dallas, TX community for 18 years and has a HUGE list of satisfied customers. Check out our reviews HERE! We offer the best prices and best customer service for Windshield Replacement in Dallas! Our competitive prices and top-notch service have made us a leader in the auto glass Dallas industry for years and we appreciate the ongoing support of the Dallas community. While we understand that you have many options when looking for a windshield replacement shop in Dallas, we pride ourself on our process for installing you new auto glass and making your car look just like it did before that pesky rock hit your windshield. Top quality windshield replacement products. Unlike many low-cost auto glass shops, we use the top of the line products for your windshield. After all, your car is one of your biggest investments and we fully understand that. This is exactly why we only use top-notch products that will make your car look like new and ensure that your new windshield performs just like it always has. No leaky auto glass or shoddy work here. Just high-quality products at the best price possible. 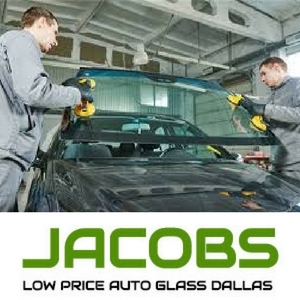 At Jacobs Low Price Auto Glass, we train all our technicians on the most up to date techniques. Just like all the other features on your car, the techniques for changing windshields have changed over the years. We are here to ensure your automobile is getting top-notch windshield replacement service! A broken or cracked windshield is often times a total surprise and we get that! This is exactly why we offer the most competitive pricing in Dallas for windshield replacement. We have relationships with local auto glass shops that allow us to offer you the best pricing on a new windshield in Dallas! We refuse to be beat on price! Does your windshield need to be replaced? Not sure whether your windshield needs replaced? Give us a call and we can help! Some minor cracks and chips can be repaired, but any damage to the windshield of your car can affect the integrity of the safety features of your cars windshield. Additionally, there are some laws relating to whether your cracked windshield is legal that may help you decide whether or not windshield replacement Dallas is the right option for you. Texas does not have any regulations concerning cracks in the windshield. Additionally, vehicles will pass the mandatory inspections if there are cracks in the windshield. However, any crack that causes the glass to change shape by becoming convex or concave is not permitted. Any cracks that obscure the driver’s clear view of the roadway could be grounds for a traffic stop by law enforcement. 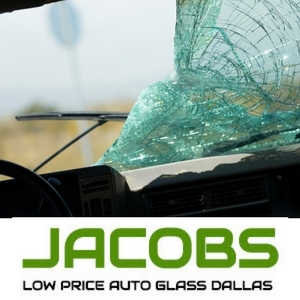 Why Jacobs Low Price Auto Glass for Windshield Replacement in Dallas? Well we may be biased, but our customer service is the BEST in Dallas! We focus on the customer while also offering the best prices on windshield replacement in Dallas. This is not a fly by night business. We truly care about what is best for our customers and make sure that they make the right decision when it comes to their auto glass. This is exactly why we have been successfully running a windshield replacement shop in Dallas since 2000! Not sure whether we serve your area or not for mobile windshield replacement? Here is a list of the areas that we currently serve.